Our providers are national leaders in their field who integrate the latest research and advances into their clinical care. Medical techniques may change, but one thing does not — our commitment to caring for our community. With over 150 healthcare professionals at more than 20 locations, EVMS Medical Group provides exceptional medical care to you and your family. Choose providers with the knowledge to treat you better at EVMS. 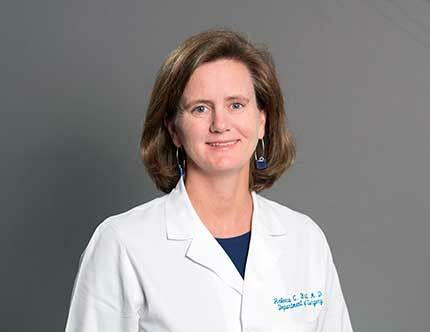 Dr. Brawley is an Assistant Professor and practitioner at EVMS Portsmouth Family Medicine. His clinical interests include sports medicine, geriatrics, pediatrics, women’s healthcare and hospital care. Dr. Brawley is also a volunteer physician at the Caring Community Clinic, serving uninsured citizens of Onslow County, N.C. A retired U.S. Navy captain, he has been awarded three Navy Commendation medals and two Navy Achievement medals, and he previously served as chief of medical staff and head of family medicine at the U.S. Naval Hospital in Naples, Italy. Read more. Dr. Britt (MD ’98, Surgery Residency ’04) is the Robert L. Payne Chair in Surgery and the EVMS-Sentara Endowed Chair for Academic Leadership Advancement. She is board-certified in surgery and surgical critical care. 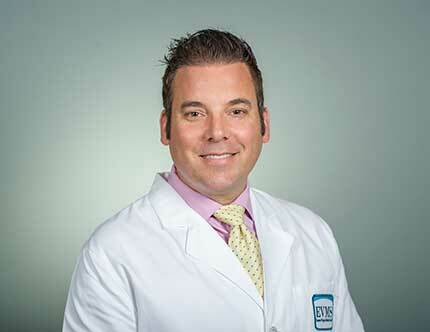 Dr. Britt specializes in advanced laparoscopic, general abdominal, acute care and breast surgery. She helped develop the Acute Care Surgery service line at Sentara Norfolk General Hospital. Coastal Virginia Magazine recognized Dr. Britt as a “Top Doc” in 2014, 2015, 2016 and 2017. Read more. Dr. Okhravi is the Director of the Memory Consultation Clinic in the Glennan Center for Geriatrics and Gerontology. Under his leadership, patients receive complete cognitive functional and neuropsychiatric assessment and treatment, along with education to improve quality of life. Dr. Okhravi has been recognized as a Healthcare Hero by Inside Business and has been named a Top Doc by Coastal Virginia Magazine. Read more. Dr. Pakrashi, assistant professor of Obstetrics and Gynecology, is an American Board of Obstetrics and Gynecology-certified physician, who serves patients in Reproductive Endocrinology as they seek fertility treatment options. A former fellow at EVMS' Jones Institute for Reproductive Medicine, Dr. Pakrashi specializes in infertility, with research focuses on fertility preservation and in vitro fertilization. Read more. 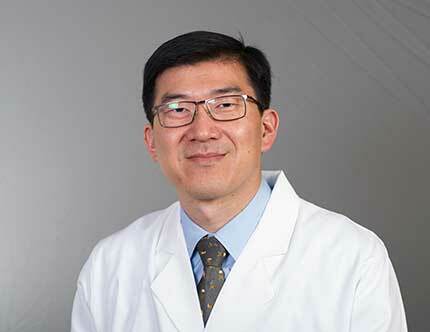 Dr. Lam, an EVMS Allergy and Sinus provider and Assistant Professor of Otolaryngology, is a certified Diplomate of the American Board of Otolaryngology – Head Neck Surgery with specialized fellowship training in sinus and anterior skull base surgery. His clinical interests include chronic nasal inflammation, smell and taste disorders, nasal cancers and sinus surgeries. Dr. Lam’s research has received top honors from the Chicago Laryngological & Otological Society. Read more. Dr. Prodanovic has more than 15 years of experience and is one of a small group of doctors with board certifications in three specialties: Dermatology, Internal Medicine and Pediatrics. 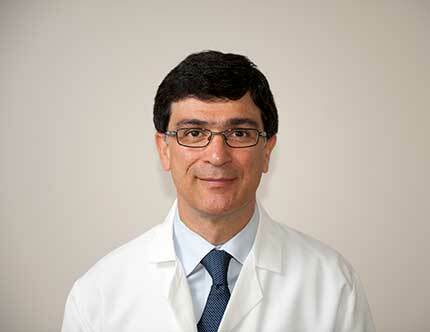 He practices general medical, pediatric, surgical and cosmetic dermatology. Dr. Prodanovic’s expertise includes diagnosis and treatment of diseases of the skin, hair and nails, and various surgical and cosmetic procedures. Read more. 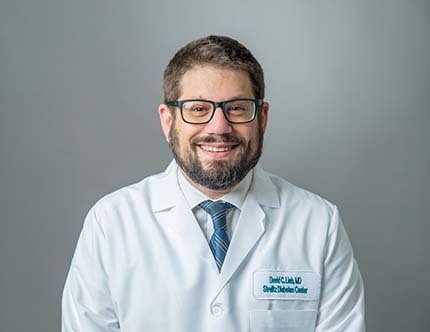 Dr. Lieb, Associate Professor of Internal Medicine and Endocrinology Fellowship Program Director, treats patients at the Strelitz Diabetes Center. Living with Type 1 Diabetes gives him a distinct awareness of the challenges facing his patients in Endocrinology and Diabetes & Metabolism. Dr. Lieb's clinical and research interests include the treatment of type 1 and type 2 diabetes, the effects of bariatric surgery in type 2 diabetes patients and the management of thyroid disease and thyroid cancer. Read more.